I can’t stop thinking about the wonderful Little Brown Pen blog I wrote about a few days ago. The Paris Colour Project have had quite an effect on me and so I dedicate this post to them. I only wish my photographic skills were half as good. We’re currently in the South of France. At my father in law’s house near the wonderful town of Albi. The house is called Fonvielle and is set in a valley surrounded by fields. It’s beautiful and quiet and teaming with nature, all of which is being somewhat disturbed by our children. My father in law, an artist, loves blue. All shades. There is blue everywhere you look, inside and out. From the painted shutters to the bathroom tiles and even the perfect hand made playhouse….blue on the outside, pink on the inside to keep all the grandchildren happy! So I thought I’d share some french blues through a few afternoon pictures, taken when all is quiet. 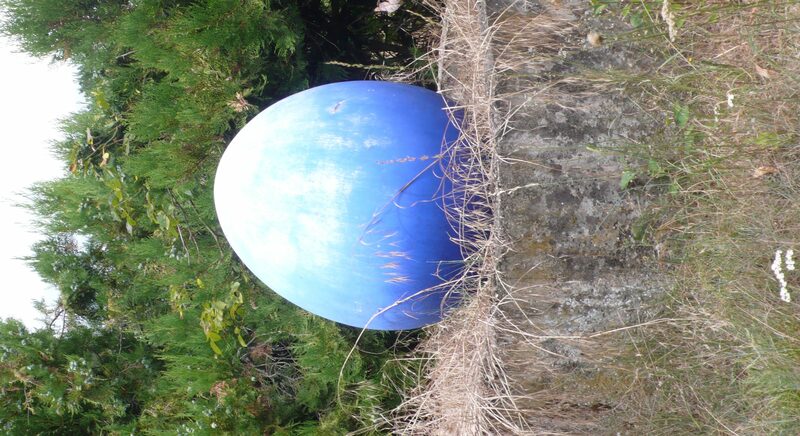 The big blue egg contains a baby dinosaur, says my 3 year old, just in case you were wondering. The cutest little playhouse I have ever seen!